NDTV, National Herald and The Citizen have been sued by Reliance Infrastructure in different parts of Modi’s home turf, Gujarat. Paying as little as Rs 75,000 to file a defamation suit, the Anil Ambani-led Reliance has been on a defamation suit spree. Following incisive coverage of the seemingly hand-in-glove dealings of Anil Ambani’s Reliance group with the Narendra Modi-led government, these suits were slapped on multiple media organisations, including NDTV for Rs 10,000 crore, the National Herald for Rs 5,000 crore and the latest target being the independent publication, The Citizen, for Rs 7,000 crore. Also Read: EXCLUSIVE: Flying Lies? The first suit was slapped against the National Herald. The suit is worth Rs. 5,000 crore against the Associated Journals Limited, the publisher of the National Herald, its editor in-charge Zafar Agha, and author of the article, Vishwadeepak. 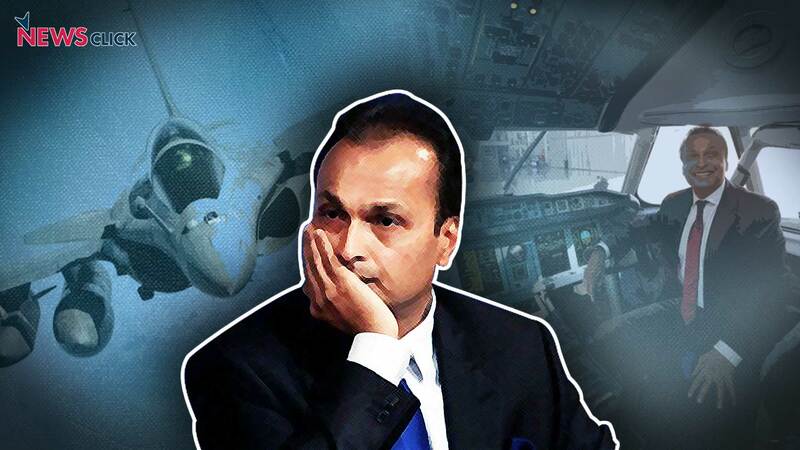 The Anil Ambani-led Reliance group claimed that the article titled 'Anil Ambani floated Reliance Defence 10 days before Modi announced Rafale deal' was “libellous and derogatory”. Subsequently, another suit was filed against NDTV, the hearing for which is set to start tomorrow, The defamation lawsuit was filed after an episode of NDTV’s weekly show Truth vs Hype aired on September 29. The channel denied the charges and said it would argue in court that this was “a heavy-handed attempt by Anil Ambani’s group to suppress the facts and prevent the media from doing its job – asking questions about a defence deal and seeking answers that are very much in public interest”. A day ahead of the commencement of hearing in the NDTV case, Prime Minister Modi praised industries and corporates for “exemplary social work alongside their business” while saying he does not believe in the culture of criticising them. “In our country, the general culture is to abuse businessmen, industrialists. I do not know why it is so but it has become a fashion. This is not a line of thought I agree with,” he said vindicating the stance of Bhasha Singh and many others. But, just how easy it is for Anil Ambani’s Reliance group to file a defamation suit and why is Gujarat the hotbed for all these defamation cases? Speaking to NewsClick, Chitranshul Sinha, lawyer at the Supreme court, explained, “Court-fees in each state is fixed by the respective State governments, and thus varies from one jurisdiction to another.” The Gujarat Court-Fees Act, 2004 stipulates that irrespective of the amount of damages claimed in a suit, the court fees payable cannot exceed Rs 75,000 making the state a top choice for the group to file all its suits. Legally, media organisations cannot file counter-defamation cases and instead have the onus to come clean in the court of law. Additionally, Anil Ambani’s Reliance group has also filed suits seeking damages of Rs 5,000 each against nine members of the Congress party, and one AAP member. Thus, making the total amount of damages sought by the company a whopping Rs 72,000 crore for a meagre sum of Rs 75,000 per case. Bhasha Singh adds, “The seriousness of the cases as intimidatory tactics cannot be taken away in the light of astronomical numbers.” The cases or strategic lawsuit against public participation (SLAPP) pose a grave threat to press freedom, which in these cases has been the ultimate goal of Anil Ambani’s group backed by the Modi government. The cases capitalise on the ostensible power imbalance where the defendants find it difficult to defend their cases owing to the sheer drainage of resources that is characteristic of a long-drawn court battle. The coverage of the media houses exposed the ‘irregularities’ of the Modi government and the leeway given to Anil Ambani’s Reliance group in the purchase of 36 French fighter jets or Rafale jet planes. It has been found that not only was India overpaying but the Modi government did not give any option to Dassault Aviation other than Reliance Defence as an offset partner.